A Morning Glory like you’ve never seen it before! Most of us are quite familiar with the long, trailing vines and bright blue and white flowers on traditional Morning Glory’s, but this Dwarf Mix is one you’ll definitely want to grow for yourself! 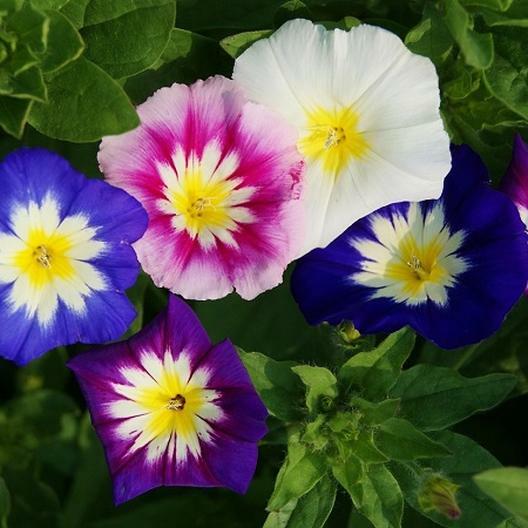 Growing in a compact, mounding formation, Morning Glory Dwarf Mix is ideal for window boxes, containers or flower beds! 2 inch blooms feature a carnival of color on each bloom!